This month Gunnar, John, Diana, Erik, and myself are finishing up a 2 year long Dungeons and Dragons Campaign! Gunnar is the DM and the game is set in a Steampunk Era Middle Earth. My character is a halfling rogue named Ledagrace Took (yes, descended from that Took!) who, in our last session, just got married to her longtime smuggler boyfriend while a Gorgon/Kraken hybrid destroyed the city. Diana's mermaid character (a priestess) performed the ceremony for us while John's destitute Prince and Erik's bear-kin character held off the giant thrashing tentacles that were attempting to destroy the church and kill all the guests. It's been epic. Erik: I'm good against swarms! And I'm in bear-form! I take all the bees into my mouth! 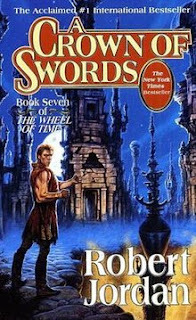 Not my favorite of the series by a long shot, even the climactic ending seemed kind of rushed and confusing. I found myself strongly disliking a character who I had previously liked and got really tired of the arguing and secret keeping. There are several "JUST TALK TO HIM/HER" moments that could have easily solved lots of issues, and now there's no excuse for distance since the characters have figured out how to communicate/travel long distances using magic. The parts I liked were the politicking and huge reversals in certain character's fortunes both good and bad that made for exciting developments. There's also a very satisfying and long awaited marriage in this book that almost totally made up for it! By the time I was two thirds of the way through this book, nothing...had...happened. There was a lot of arguing and marching and more secret keeping, and lots of descriptions of each unimportant noble and soldier and random Aes Sedai, but nothing really happened to move the plot forward. There was a lot of marching around from place to place and arguing. I'd heard that this was a slow part of the series from redditors discussing the upcoming Amazon series, and I have to agree. 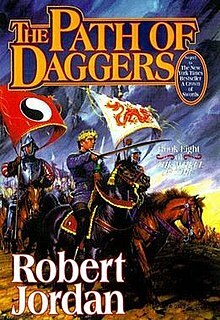 Right now I'm continuing because I'm invested but it's definitely not the best part of the series. I can see how a t.v. show with good writing could hopefully skim past some of the less important stuff going on here and get to the action. I hope that the next few books are a little peppier and that the ending makes this all worth while! 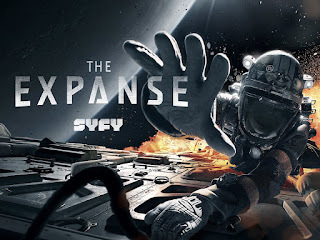 We just finished watching all 3 seasons of The Expanse and it was AWESOME. I got twinges of Mass Effect, twinges of Firefly, and plenty of interesting twists for it to feel fresh and exciting. I really like the characters and I had some pretty good guesses about what was going to happen that were right and a few that were wrong. Bobbie was one of my favorite characters, as she is basically a young Commander Shepard, but the whole culture of the Belters was really cool too. I'm hyped for season 4!